Tired of being tired? I was! I had a severe adrenal fatigue and suffered from it for many years before I was diagnosed. 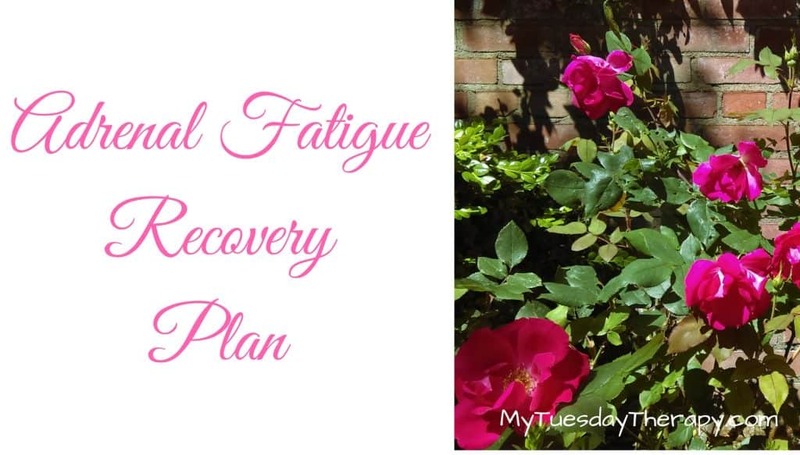 With the help of my doctor and based on what I had learned about adrenal fatigue I created an adrenal fatigue recovery plan for myself. 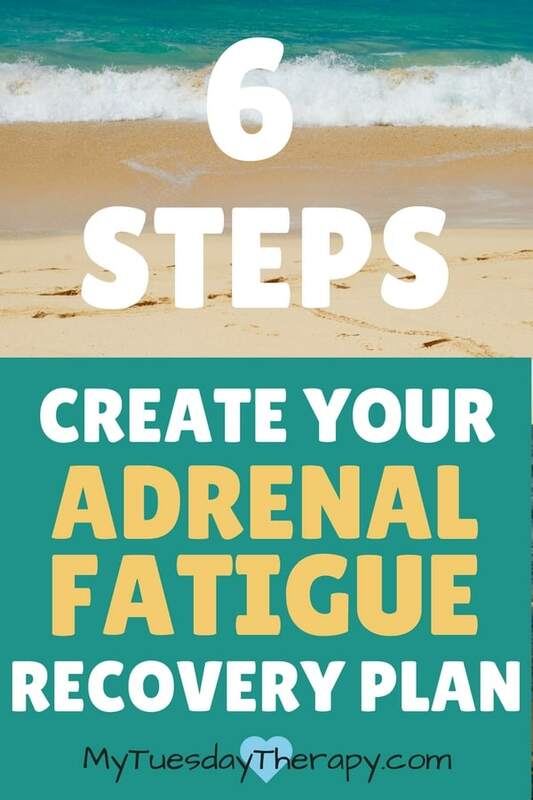 You can read more about my story in the adrenal fatigue recovery story. This post contains affiliate links for your convenience and for me to get a tiny percentage at no extra cost to you. Thank you! Adrenal fatigue is a stress induced condition with a variety of symptoms such as extreme fatigue, inability handle stress, nervous stomach, shaking under pressure, tinnitus, and insomnia. Adrenals are a part of the hypothalamus-pituitary-adrenal (HPA) axis. When you are under stress the hypothalamus assesses how much cortisol, the stress hormone, you need and then it signals the pituitary gland to produce adrenocorticotrophic hormone (ACTH). ACTH tells the adrenals to make cortisol and other hormones such as adrenalin. Once the stress is over your body returns back to normal. But if you are under constant stress this will cause problems. Your adrenals can’t keep up with the cortisol demand and eventually you will have low cortisol levels no matter what. Low cortisol levels affect the cells, the nervous system, the heart, the liver etc. The lower your cortisol level go the worse you will feel. In the early stage adrenal fatigue the cortisol level is way too high which is not good either. IMPORTANT: I was under the care of a doctor. Before you begin any treatment you should talk to your doctor who can help you to create a specific plan for you. These three assessments helped me to create a plan for healing adrenals. Since adrenal fatigue is caused by stress it is important to figure out what the stressors are. My symptoms list was long. 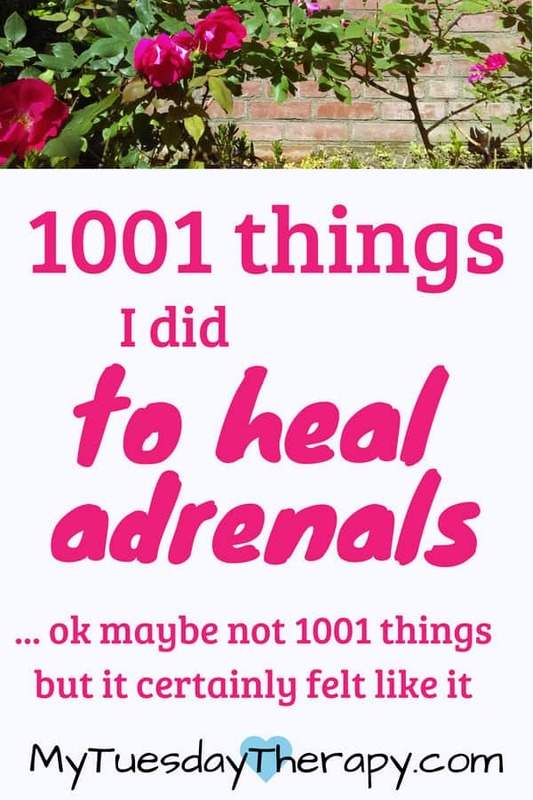 I had pretty much all the symptoms mentioned above and some others that I mentioned in My Adrenal Exhaustion Story. Different doctors define the stages differently. In the post What Is Adrenal Fatigue I briefly go through a one way to define the stages. I was between stages 3 C and D (Dr. Lam’s definition of stages). It is vital to work with a doctor who knows about adrenal fatigue but it is also important to know as much about this conditions as possible so you can make more informed decisions as you work on your adrenal fatigue recovery plan. So read. There is so much info out there now. I also really like the book written by Dr. Wilson. You can get it here. One of the problems that made my fatigue worse was a lack of nutrients. I switched to organic fruits and vegetables to the extend I could. I cut back on sugar and began to use raw honey. It is important to avoid foods you are allergic to keep down the stress level. For a long time I could not eat raw vegetables. I had trouble digesting them. I also could not eat big meals or go too long between my meals. Switching to raw milk enabled me to enjoy milk without bloating. I also began to make kefir and kombucha. I needed to increase my protein, fat, and salt intake. Salt craving is very common with adrenal exhaustion. Sea salt was good for my adrenals. Also coconut oil has earned its place in my recovery plan. I have a friend whom I usually see on Tuesdays for an afternoon of mutual sharing, encouragement and laughter. It’s been such a blessing to have someone who listens and understands. Often the ones who understand and don’t get tired of listening are the ones struggling with similar problems. I hope you have or will find a support person who will be there for you, encourages, and listens to you. Emotional support is important to your healing. This one was a vital part of my recovery. I had gone without alone time for way too long and having it was a life saver. Just like so many of us moms/wives I set too high standards for myself. I tried to be everything to everyone but in the end I just hurt myself. My health failed. So instead of trying to be a supermom I’m happy being a mom. Lowering standards around the house was not easy but it had to be done. Since my symptom and stressor list overlap a lot I will list the other things I did under Healing Adrenals and the Other Organs. Anything that you do to reduce stress can help the adrenals to heal. Adrenals benefit from lying down. I began to take frequent breaks whenever I could. At one point I was pretty much bedridden so lying down was what I did. Lack of sleep was a huge stress factor in my life. So it was one of those things I had to fix. I found sleep supplements that worked for me and with those I was able to get the sleep I needed. Supplements were very important to my recovery. I tried a couple of adrenal support supplements before I found the one that helped me the most. I wrote a couple of posts about the supplements I took. Morning Routine includes a few things I did in the mornings to aid in the recovery. Evening Routine was also a big part of my recovery. Healing the gut was one of the big remove stressors steps I took. I had yeast problems, h. pylori, and parasites. I suffered from a severe chemical sensitivity and my liver was congested. To give my gut some good bacteria to work with I take a probiotic, drink kefir and kombucha. I had to be careful with detox because it can be overwhelming to the adrenals and cause a crash. I could not handle footbaths or epsom salt baths. But dry skin brushing was helpful. I had some problems with my heart racing and took supplements to help with the palpitations. I had to take care of any acute or chronic viruses. Boosting the immune system took a stress load off the adrenals. My hormones including progesterone were out of whack. I used these homeopathic drops called Hormone Combination by DesBio to help with the hormonal imbalance. I had allergies year around. I was allergic to pollen, dust, mold, and had a multiple chemical sensitivity. Exercise is good for you, right? Not always. You can read about that in the following posts. In the Avoid post you will also find a list of personal and home care products I was able to use in spite to multiple chemical sensitivity.